November 20, 1985. 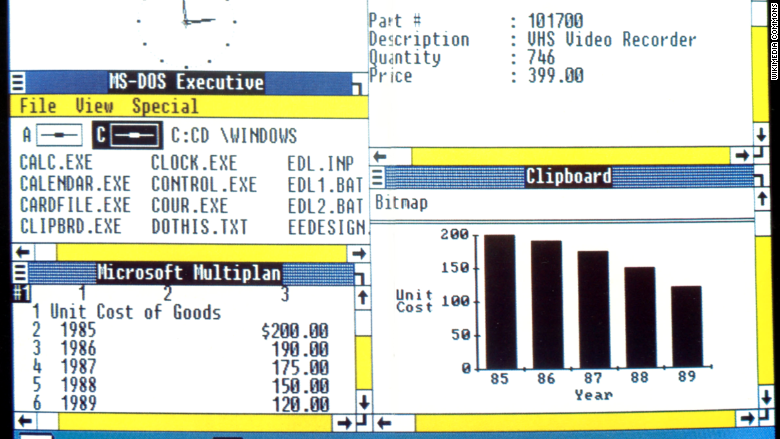 Looking to provide an easier-to-understand graphical interface for MS-DOS, Microsoft released Windows. It was originally slated to be called "Interface Manager," but Microsoft ultimately decided to call it "Windows" -- a smart choice. Windows is now one of the most recognizable brands in the world. Windows 1.0 displayed windows in a tile layout -- windows couldn't yet overlap. The operating system came with the Paint, Notepad, and Calculator apps that are still a standard part of Windows. It also came with Reversi (Solitaire didn't ship until Windows 3.0).